HomeNew CarsNewsFord Introduces 320PS+ 2016 Focus RS - Monstrous AWD Hot Hatch! 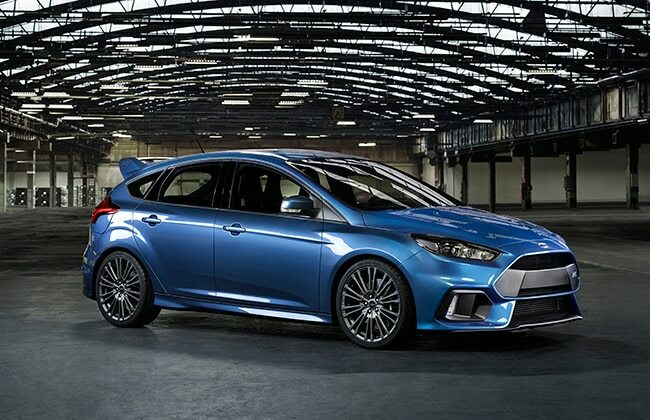 Ford has revealed the third generation Focus RS at the company’s European headquarters in Cologne, Germany. It is the 30th car wearing the iconic ‘RS’ badge and will be the first ever RS car to be sold worldwide apart from Europe. The hyper hot hatch will be produced solely for the entire world at the Ford’s Saarlouis, Germany, manufacturing plant beginning late this year. The Focus RS is powered by a Mustang sourced heavily modded 2.3-liter EcoBoost. The vehicle is under the 12 performance products that the Blue Oval has promised globally under the ‘Ford Performance’ banner. Ford says that engines share its ‘fundamental structure’ with the all-new 2015 Ford Mustang’s 2.3-liter EcoBoost but is heavily altered & tuned for Focus RS, indeed more powerful than the one pulling the Mustang! Since spec details will be out at the 2015 Geneva Motor Show but Ford says 4-cylinder engine packs over 320 PS. Torque will be close to 446 Nm! Furthermore, the power is handled by a six-speed manual transmission and transmitted to an AWD - All Wheel Drive setup. Ford has incorporated AWD - All-Wheel-Drive setup in the new Focus RS, the system can transmit a max of 70 percent of total torque of the motor to the rear axle. Moreover, up to 100 per cent of the available torque at the rear axle can be sent to each rear wheel thanks to torque vectoring! Dynamic Torque Vectoring - The rear differential features twin electronically-controlled clutch, the clutches manage the front/rear torque split (between front and rear differential), and also can control the side-to-side torque distribution (between the two rear wheels). 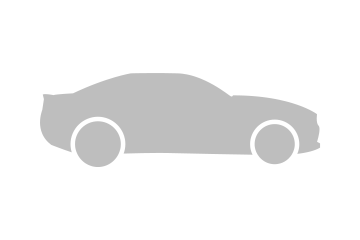 Example - if the vehicle is cornering, the rear diff sends maximum power to the outer wheel based on the inputs from sensors, which helps the vehicle in cornering at higher speeds, and virtually eliminating understeer. For everyday driving, Ford Focus RS comes standard with Michelin Pilot Super Sport with 235/35 cross-section R19 radials. For the extra oomph on track - the hatch offers optional Michelin Pilot Sport Cup 2 tyre. The Focus RS will be available in four exterior colours options - Nitrous Blue (its the same colour that debuted with the recently revealed Ford GT), Stealth Grey, Absolute Black and Frozen White. Sports Ford’s SYNC infotainment system with 8-inch touchscreen boasting - audio, navigation, climate control and mobile phones via voice commands. Decibels are powered by a Sony premium sound system with 10-speakers including a subwoofer. Recaro sports, soft-leather wrapped flat steering wheel and RS all-over.